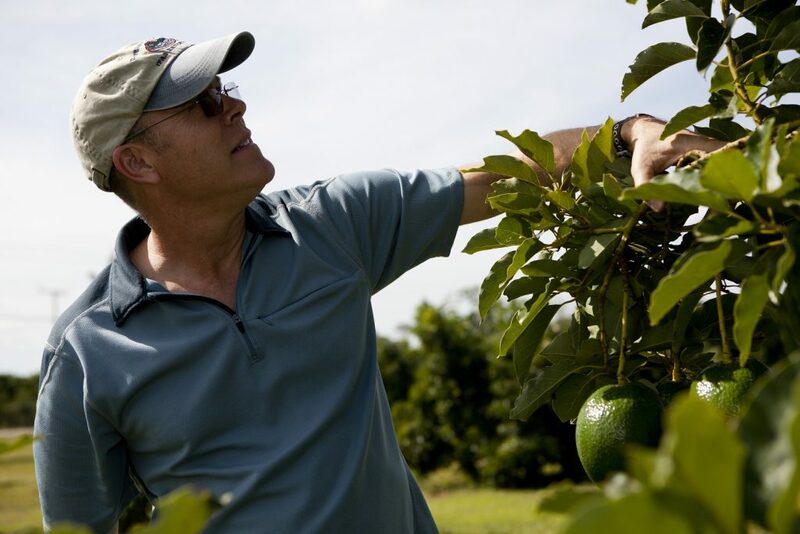 Jonathan Crane, professor of horticultural sciences, inspects an avocado tree at the Tropical Research and Education Center. Laurel wilt could be considered an avocado tree’s worst enemy. According to Jonathan Crane, professor of horticulture and tropical fruit specialist with the University of Florida, laurel wilt was introduced in the United States in 2002 and made its way to Homestead, Florida, in 2012. Since then, over 100,000 avocado trees have been lost, equaling roughly 1,000 acres of production. Laurel wilt is a fungal disease that quickly spreads from tree to tree. If it is not caught early, it can destroy multiple trees in a matter of days. The disease is spread in two ways: ambrosia beetles and grafting of roots from one tree to another. Ambrosia beetles use the fungus as a food source. “They have a symbiotic relationship with it, so they grow that fungus inside the tree,” Crane explains. The beetles bore into the trees and inoculate it with the fungus. Then, the beetles lay eggs and eat the fungus as it sporulates. At this point, the tree begins to wall off the beetles and the fungus. However, the fungus continues to sporulate and travel throughout the tree until it enters the water-conductive tissue. “The tree ends up dying from drought stress because it has walled off so much of its water-conductive tissue,” Crane says. It can be anywhere between two to eight weeks from the time a tree is infected to the time it dies. Another way the disease can travel is through root grafts. According to Crane, laurel wilt travels between the root grafts of adjacent trees. If infected trees are not identified and treated in a timely manner, the disease will spread at a rapid rate. The first signs of laurel wilt can be seen in the leaves. “By the time you see the green leaves wilting, it’s already wreaked a bit of havoc inside the tree,” Crane explains. He says the telltale sign of disease movement is if the green leaves have turned brown. Then, it is important to pay close attention to the adjacent trees for signs of laurel wilt. Crane says right now there are no basic methods for controlling laurel wilt, but scouting is a good first step. 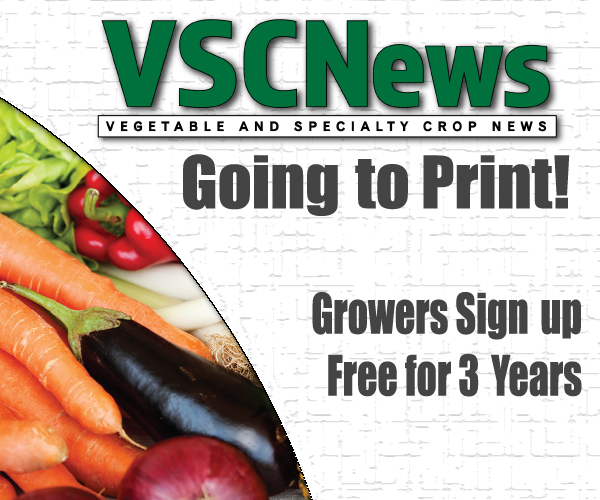 Growers will want to look for wilting trees. “If you find them (wilted trees), you immediately take the trees out of the ground and disconnect the root system from its neighbors. Then, you destroy the wood so the beetles can’t make more beetles,” Crane explains. However, he adds, removing trees from the property is labor intensive and expensive. The other management method is to infuse the tree with a fungicide, so the tree never gets infected in the first place. Crane says Florida growers have about 1,000 to 1,200 trees being injected with fungicides, and the trees have to be injected multiple times. Since both methods of management are costly and require a strong labor force, Crane and his team are working on finding new methods for management, including finding alternative fungicides. Currently laurel wilt is in 10 states, from North Carolina to Florida, and is found on the east coast of Texas.